Welcome to your SwitchArcade Roundup for August 28th, 2018. It’s a full day here on the Roundup with impressions on Blade Strangers–a game releasing today both on the eShop and in stores–as well as several interesting news items and new releases. Later today, Nintendo of America will host its own Nindies Showcase for the summer, which we’ll be covering the juicy details during tomorrow’s SwitchArcade Roundup. For now, let’s grab a bite or two… thousand with today’s Game of the Day. It may be a Tuesday, which is usually set aside for tacos, but today we’re going to put our food focus on sushi instead with Sushi Striker: The Way of the Sushido. 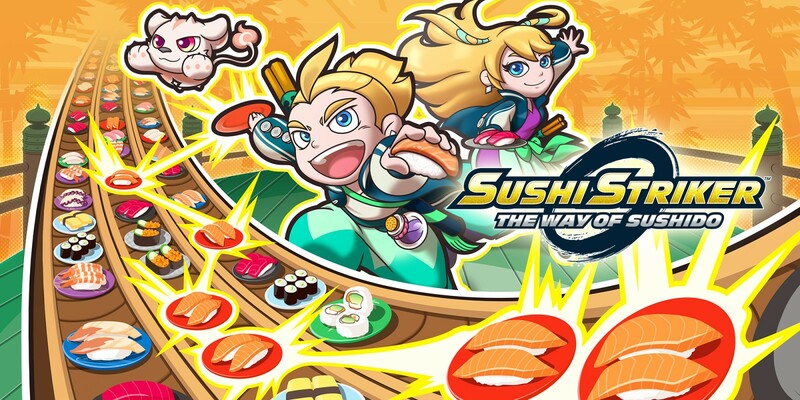 This eclectic, intense, matching action-puzzle game has you bringing the good word of sushi around the land, trying to stop those who wish to use sushi for nothing but harm and other nefarious means. Yes, it’s as ridiculous a story concept as it sounds, but it’s done so wonderfully and hilariously–never at all taking itself overly seriously. Sushi battles have you playing on your side of the screen, the lower half, with three lines of differently colored sushi plates moving across the screen in various directions. Your goal is to line up as many similarly colored plates together as possible in one movement in order to build up enough plates to chuck at your opponent. Be careful, though, as if you try to hold a combo for longer than seven seconds, it’ll be forfeited, so don’t be greedy! When either you or your opponent’s health is depleted (hopefully your opponent’s! ), the battle ends. 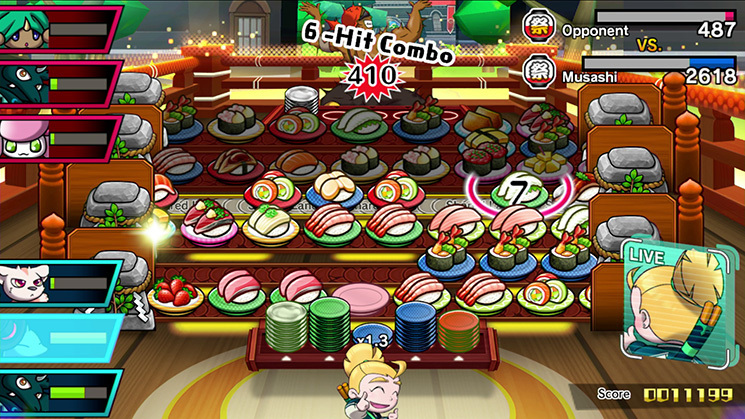 Each player has various sushi sprites to use which bestow in-battle abilities to use mid-fight. For instance, one can turn all of the player’s current sushi into health-restorative candy, while another can put a shield around them to protect from attacks for a short period of time. Sushi Striker: The Way of the Sushido is one of the those wacky, experimental games from Nintendo that I can’t help but love. I’ve only invested around seven hours into the game, but I know that: 1) I’m nowhere near the end of my sushi-striking adventure and 2) I’m in love. Plus, there are new sushi sprites to acquire from performing well in battles (and having a little bit of luck in the process), getting high scores on each mission, getting three stars on each mission by completing specific battle goals, unlocking bonus battles, and much more to accomplish. Heck, I haven’t even reached double digits in experience levels with most of my sushi sprites yet (yep, you and your sushi sprites get more powerful from battles). 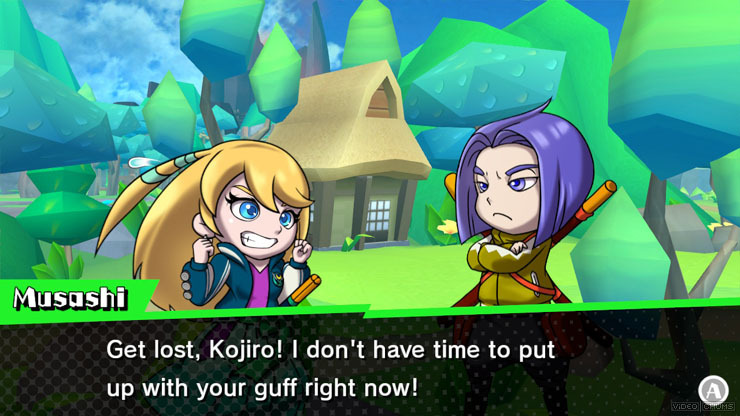 My point is that even though Sushi Striker: The Way of Sushido is at a price you may balk at, it’s most certainly worth the price of admission. If you don’t believe me (which is okay, as I am a very shifty character), try out the demo that’s available on the Switch eShop and then imagine that as just a sampling of the scrumptious sushi buffet that awaits you. Blade Strangers releases in North America today on the Nintendo Switch eShop, but I have had the privilege of playing the game ahead of time. I use the word “privilege" because I honestly have enjoyed what I’ve played of the game. What is Blade Strangers, you ask? It’s a reasonable question, as it’s not really a game that I imagine will get a lot of attention. Not because it’s not worth looking at–it certainly is–but more because of how under the radar the game is. Blade Strangers is a 2D crossover fighter, but unlike a certain crossover fighter that will release at the end of the year (not naming any names here), Blade Strangers is admittedly less of an all-star spectacular “who’s who" of gaming icons. Instead, the games represented in this fighter are much lesser known such as Code of Princess, Umihara Kawase, Cave Story, The Binding of Isaac, Azure Striker Gunvolt, and probably for most people the most well known of the bunch, Shovel Knight. Like the certain crossover fighter that I will not name, Blade Strangers is an accessible fighter that most anyone who can work a controller can learn. It uses the Switch controller’s four face buttons for different attack types: light, heavy, skills, and character-specific attacks. There is no memorization of complicated inputs–no quarter circle to a half circle to a Sloppy Joe 360 D-Pad movement to speak of. (I think I just steered into Tony Hawk’s Pro Skater territory there.) It’s simply hold a direction on the “D-Pad" of the Switch controller, press a face button, and then the attack will be initiated. 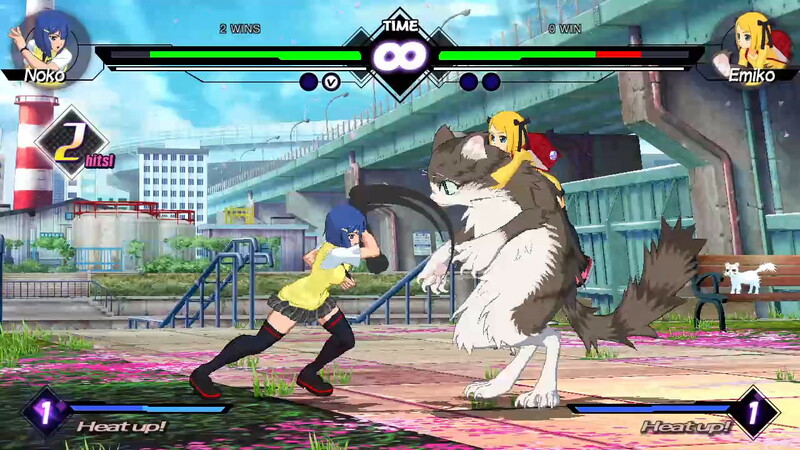 Combinations of face button inputs results in combos, making it easy as pie to unleash captivating moves. There are also Ultra Attacks that are performed as simply as pressing in the right shoulder button when your gauge is full, as well as a heating up period when your character’s health is low, making them stronger in attack. This can be great for a last-second, “out of nowhere" comeback victory. Blade Strangers houses plenty of modes (Story, Arcade, Mission, Versus, Online, Tutorial, and more), though you wouldn’t see a reason to play them more than once, as the game does a poor job of showing when you’ve unlocked in-game content. That’s because the game doesn’t show you at all. You either have to check your player profile screen or stumble upon new content yourself, such as alternate character colors in the fighter select menu. Regardless, taking my fighter of choice online with a friend to test out the netcode of the game presented me with a smooth experience with little in the way of overly noticeable delayed inputs. So, so far, so good on that end. Overall, Blade Strangers might not get expert fighting game fans too invested, as learning the ins and outs of the controls and gameplay aren’t too involved. 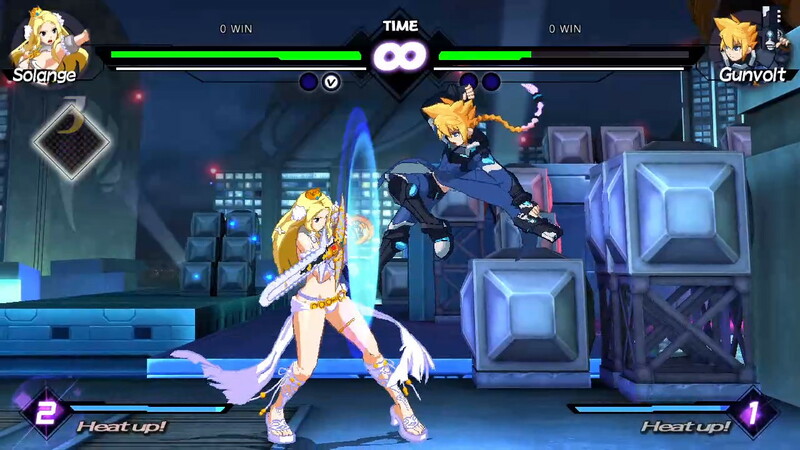 However, for casual players and/or scrubs of fighting games like myself, you might find the level of accessibility to be great in Blade Strangers, the gameplay flashy and fun, and the online serviceable and worthwhile for engaging battles against friends and total strangers alike. Just the other day I was wondering if Super Smash Bros. Ultimate might receive a special or limited edition of some type to coincide with the game’s release. 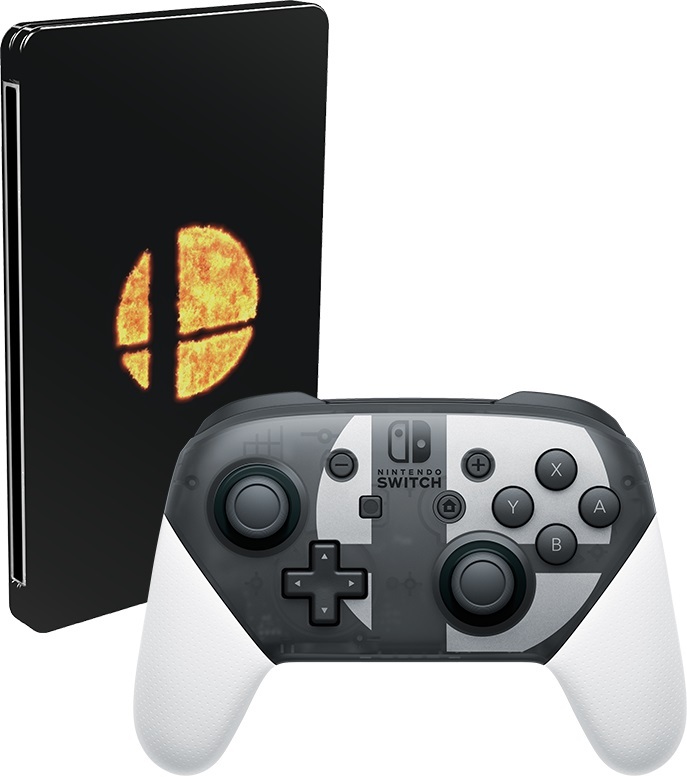 Now, those thoughts of mine have come to fruition with Nintendo revealing a Super Smash Bros. Ultimate-themed Pro Controller as well as a limited edition for the game. All we have to go off so far is the controller and a steelbook, but perhaps we’ll see more light shed on this limited edition as the game gets closer to launch. I was wondering about a Smash Bros. limited edition of some type, and it came true. Just imagine if I had wondered what it would be like to be a multimillionaire instead! The all-star brawl will be on this December 7th when Super Smash Bros. Ultimate launches. After being “out of town" for over two decades, SEGA’s Streets of Rage series is returning to the forefront of gaming with the newly announced Streets of Rage 4, courtesy of publisher Dotemu, developer Lizardcube (both of Wonder Boy: The Dragon’s Trap fame), and Guard Crush Games. While no platforms have been announced for the return of Streets of Rage as of yet, it seems likely that Streets of Rage 4 will find itself brawling onto the Switch due to Nintendo’s relationship with SEGA and the success of Wonder Boy: The Dragon’s Trap on the platform. Of course, if I’m wrong, I know the always polite users of the Internet will let me know. For now, check out this reveal trailer for Streets of Rage 4 and get hyped to beat ’em up with the best (and worst) of them! The latest DLC for Dragon Ball Xenoverse 2, the Extra Pack 3, is available today on the Nintendo eShop. Featuring two new playable (or “playble" as the trailer reads–I just jest, we all make mistakes!) characters, Kefla and Super Baby 2, new costumes, new Parallel Quests, and new moves, the Extra Pack 3 continues the embarrassment of riches the development team provides Xenoverse 2. And if that wasn’t enough, a free update is available too, offering a new swimsuit outfit for Towa (because why not), new quests and figurines in the Hero Colosseum mode, character balances, and netcode alterations to make for a smoother online gameplay experience. Phew! There’s a saying that goes something like “too much of a good thing can be a bad thing", but I say keep the updates coming, Bandai Namco. Keep ’em coming. We knew from a previous Nintendo Nindies Showcase that the stealth-action game Aragami, with its clear inspiration from the Tenchu series, was coming to the Switch. What we didn’t know was that Aragami is receiving a physical edition in addition to its upcoming eShop release. Whether you wish to play it all stealthily like a true ninja in the shadows, or play like your pal Phil and call so much attention to yourself by mercilessly slaughtering enemies that you might as well be wearing a bedazzled ninja garb, Aragami: Shadow Edition has a play style for you when it’s available sometime this fall on Switch. Noted by the developers as a spiritual successor to series like Marble Madness and Marble Blast, Marble It Up! is set to roll onto the Switch with intense marble-based platforming, tricky turns, moving platforms, varied terrain, and collectibles aplenty this September. This is all while you’re racing against the clock to score the fastest time you possibly can. Talk about a game you can have a ball with while you marble–er, marvel at its design. The hunt is once again on, and this time it’s on the Nintendo Switch. I previously provided some impressions of the Monster Hunter Generations Ultimate demo within the past week. Now, those who played said demo can own the game for themselves, whether physically or digitally and hunt monsters whenever and wherever they please. Yes, you, too, can have a heated battle with a Barioth while you battle with your own intestines in the comfort of your own bathroom. Not a pleasing picture, is it? Neither is letting your monster-hunting party down by being the player to pass out in battle three times in a row. “I know that feel," as the kids say. 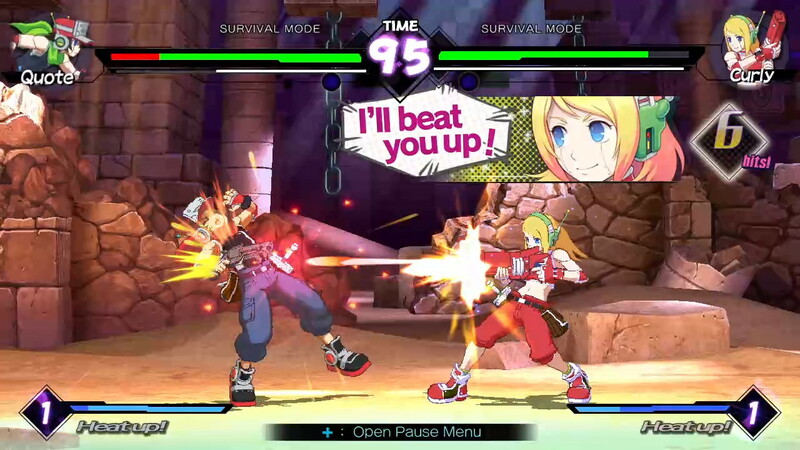 Unless you’ve been skipping around today’s SwitchArcade Roundup (which by all means, feel free to do so), you might have already read my impressions on Blade Strangers. Overall, I enjoyed the game, and find it highly accessible for those who struggle with getting into traditionally styled 2D fighters. It doesn’t matter if you know Code of Princess as a 3DS game (and now Switch game) or think the “Code of Princess" is to curtsy all the time (which is highly stereotypical thinking, mind you), having familiarity with the roster of Blade Strangers is far from necessary. As an aside, the physical version of Blade Strangers offers one of three different covers. Heaven for those who love variety; Hell on those who are collectors. de Blob 2 quickly comes off the heels (well, if our blob protagonist had heels) of the original de Blob that released a couple months back for the Switch. Both games originally appeared on the Wii, while the second game was a multi-platform release, adding entertaining 2D segments of color-soaking fun to the series. Save the world of the insidious INKT Corporation by splashing the environment with color in de Blob 2, whether it’s for the first time or all over again on the Nintendo Switch today. Would you like some isometric dungeon-exploring but don’t wish to wait for Diablo III: Eternal Collection? If your appetite for dungeon crawlers isn’t satiated by one game alone, then perhaps you’ll find a lot to love with Victor Vran: Overkill Edition. It’s available with all the DLC from the vanilla game, conveniently wrapped up into one nice, neat, and monster-slaying package. Tomorrow morning I’ll have all of the major Nindies news from today’s Nindies Summer Showcase. Until then, keep your Joy-Cons charged and your Switches loaded with great games!